Vintage fashion peaks my imagination. When I get a vintage piece, I imagine who owned it first, what they did for a living, where they wore the particular piece to, and why they gave it up. Vintage fashion is more than just fashion to me, it's a story. A story that keeps being retold over and over....and when I get the pieces, I make sure that my story in these clothes will be interesting, authentic, and most of all full of style. Get into my story below featuring The Dress from the Unknown. 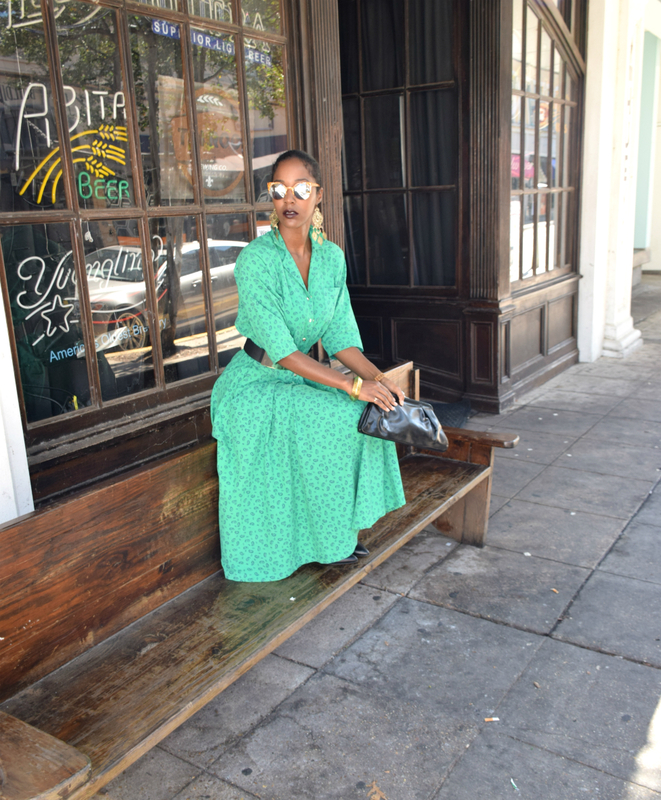 When I received this dress from Do The Right Vintage, I slipped it on and was immediately reminded of the dresses my paternal grandmother used to wear; therefore, I'm guessing this dress dates back to the 1970s or so. My grandmother's dresses always fit her in the waist and flared at the bottom. I love fit and flare dresses because they hug my frame just enough to accent my waist, but flare out to keep it conservative. What is old becomes new in fashion, and this is why I always welcome classic pieces into my closet. When you collect classic pieces, you will definitely get your money's worth and be able to sport those classic items for years to come. When you receive new items, take care of them. Be grateful and mindful when sporting them; put some good energy on those pieces, and then pass them on with grace. You never know who will inherit them next. One person's hand me downs is another person's treasure. For those of you who are on Instagram, you can find Do The Right Vintage at - @dotherightvinatge. Happy Shopping!